I have been natural since September 2001. I have just been using henna for a few months. I felt that something was missing from my natural hair regimen and I was searching for something to make my hair a bit more healthy and something that would promote growth. I didn’t know exactly what I was looking for, but I knew I needed to make a change. I remembered a few of my friends talking about using henna. I had never heard of henna so I was curious. I immediately sent my new friend, Shelli, a quick message and her reply changed my life! She answered every question I had about the henna process and I have been hooked on henna ever since. The first time I conducted a henna treatment I was overwhelmed! It was extremely messy and I got it everywhere! I honestly thought to myself that it would be my first and last time using henna. But, to my surprise, my hair turned out so soft, manageable and healthy. What type of henna do you use? What is your mix? What is your process? I use Reshma henna. It is the brand that my local Indian market sells and I love it! I use CurlyNikki’s recipe. I mix one box of Reshma henna with 2 cups of cooled green tea and a couple of tablespoons of honey. I have spoken with a few other henna lovers and they also mix in a few essential oils in their mix. I haven’t tried this yet, but I do plan on experimenting with this in the near future. I followed Shelli’s advice and sit with the henna mixture on my hair for 4 hours (2 of those hours under a drier). After rinsing the henna from my hair I do a deep conditioning treatment. 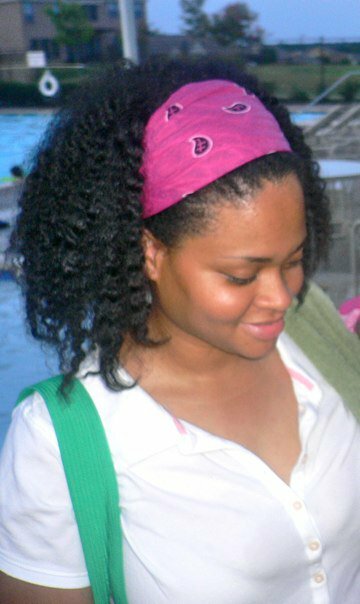 After it is all said and done I apply the kimmaytube leave-in conditioner recipe (another great recommendation from my girl Shelli!!). I love the results so much that I now do a henna treatment just whenever I feel like it. Everywhere I go people ask me what is my natural hair secret and I have to reply – henna! Henna has truly enhanced the health of my hair. It is stronger, softer, and I love the bit of red tint. The only advice I will give is wear gloves!! If you do not wear gloves your hands and fingernails will be orange for days after using henna! E-mail YOUR HairStory, with 5-6 pics, to hairscapades@gmail.com and be entered into the contest to win an item of your choice from Etsy shop, Threadmill. 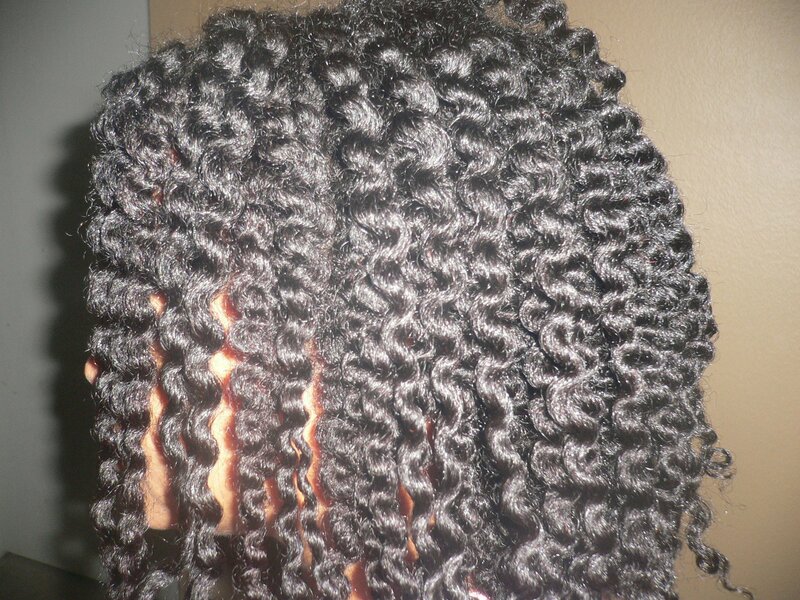 LaShonda has a niiiiice twistout! (I’m assuming it’s a twistout). I was never really interested in Henna, but you ladies sure are tempting me. I actually did it once (and probably all wrong) when I was younger thinking it would change the color of my hair. her definiton is really nice. What products does she use ? I’d love to do it but honestly I think I need more henna-xperience under my belt 🙂 I’m only on treatment #5. I see some results but want to see major results so I can sing like a canary lol. Maybe you’ll revisit in a few months? LaShonda’s hair and twist out is fabulous! Does she have a tutorial? I’ll have to get LaShonda on here to answer your questions as I know what’s listed above. I do know that she uses Giovanni Direct Leave-in in her Kimmaytube recipe and that she generally always wore twists until she started getting these awesome henna results and started rocking super defined, shiny twist outs. I also know she doesn’t have a tutorial … now. *lol* Maybe I can persuade her to do one. We’ll see!! Michelle, I’ll absolutely be looking for henna and me stories. Just might not be a contest with it;-). Hello Ladies!! Thanks so much for all of your compliments! Sorry ladies I don’t have a tutorial. I use the Herbal Essence Hello Hydration shampoo and conditioner and in the kimmaytube leave-in conditioner recipe, Shelli is correct I use the Giovanni Direct Leave-In. After washing and conditioning my hair I apply the kimmaytube leave-in conditioner then I two-strand twist my hair using a bit of organic unrefined coconut oil to seal the ends. 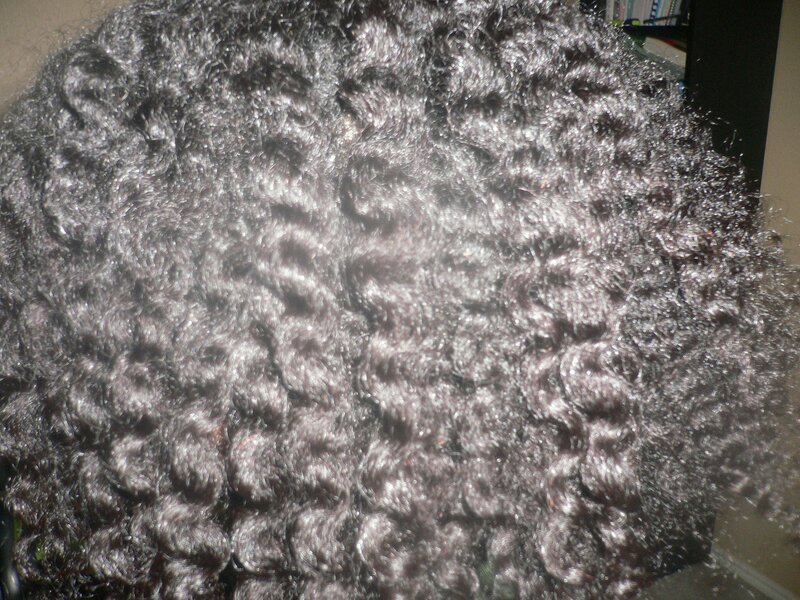 A few times I didn’t have any coconut oil in stock so I used grapeseed oil when twisting my hair. That’s all! Again, thanks for all of the compliments!! Awwww!!! 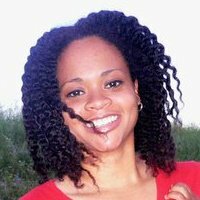 This is big sister,and I can’t express how much I love LaShonda hair ! I have watch your hair grow from short and sassy into long beautiful healthy head of hair. You being the person you are. The hair matches the beauty within you as well. Your history of going natural has encourage many of us to do the same. I’m very proud of you,and you look GREAT!!!! Love you Joslynn!